Mammograms to diagnose breast cancer remain the medical standard. 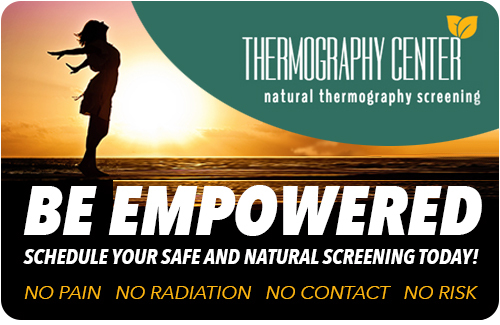 But radiation-free thermography detection is a first step choice for many women. One in eight American women will get breast cancer at some point in their lives. Because of this high rate of disease, women (and some men) are encouraged by the medical establishment get frequent exams for breast cancer. In fact, the Affordable Care Act requires insurance companies to cover a mammogram every one to two years. While well intentioned, this frequency of tests comes with potential downsides. They are uncomfortable, as the breast has to be flattened to read it in an X-ray. There are false negatives, when the mammography fails to see a tumor. There are also false positives, when it detects an abnormality that is not cancer. And concerning to many, they involve a low dose of radiation, which can increase the risk of breast cancer over time. In 2009, the U.S. Preventive Services Task Force (administered by the National Cancer Institute) recommended that routine mammographic screening be postponed until age 50, concluding: “Radiation-induced breast cancer incidence and mortality from digital mammography screening are affected by dose variability from screening, resultant diagnostic work-up, initiation age, and screening frequency. Women with large breasts may have a greater risk for radiation–induced breast cancer.” The ruling was considered controversial, but it raised awareness of risks for some individuals. So what does this mean for women at risk? Mammograms are still important tools, essential to those who have reason to suspect they have breast cancer. But as a preliminary, non-invasive and non-radiation means for identifying anomalies, many women opt first to pursue thermography. Thermography is what it sounds like: it tests for temperature in the breast tissue. No radiation is used, nor does it involve surgery or other invasive procedures. 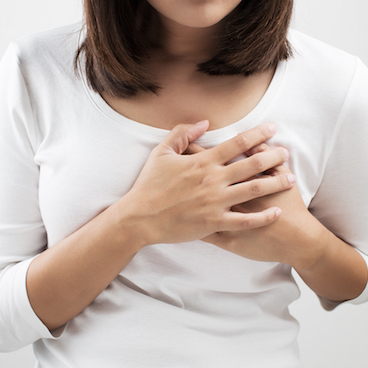 When there is a tumor anywhere in the body, including the breasts, neo-angiogenesis occurs. This is the formation of new blood vessels that involve increased blood flow, which has the effect of raising the temperature of surrounding tissue. Thermography – also called digital infrared imaging – detects that heat which in turn is recorded in a digital image. Thermography can detect thermal signs of tissue in a pre-cancerous state or in an early tumor stage that might not be detected by physical examination, mammograms or other methods. Mammograms sometimes fail to detect tumors with women who are on hormone replacement, who are nursing, or who have large, dense or fibrocystic breasts. Should thermography replace mammograms? No. A board certified oncologist should ultimately undertake an actual diagnosis and treatment. But as a first line of detection – one that doesn’t involve radiation or invasive procedures – thermography can help patients understand their risks. Thermography can detect early signs of the development of disease in the body such as formation of tumors and breast cancer as well as periodontal and heart disease. Thermal imaging scans performed with experience and expertise can allow you to identify and understand potential health issues today rather than years from now when it can be too late to treat. Contact us today at 805-560-7602 to schedule your appointment and achieve the peace of mind that comes with early health awareness and prevention. Disclaimer: The content on this page and on this website is not intended to be a substitute for professional medical advice, diagnosis or treatment. Always seek out the advice of your physician or other qualified health care provider with any concerns you may have regarding a medical condition. Never disregard professional medical advice or delay seeking professional medical advice because of any information you have read on this website. © 2019 The Thermography Center. All rights reserved.